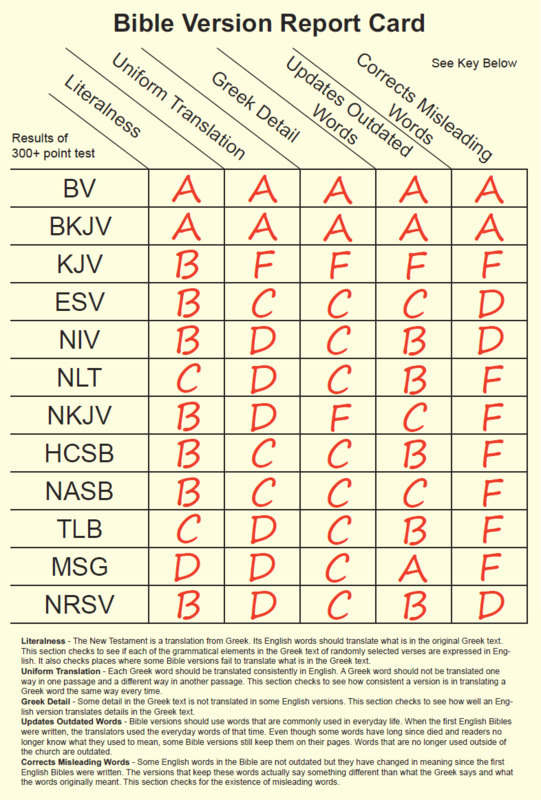 The graphs below show how the most popular Bible versions rank on our 300+ point test in five areas. The report card showing the final grades is at the bottom. The New Testament is a translation from Greek. Its English words should translate what is in the original Greek text. 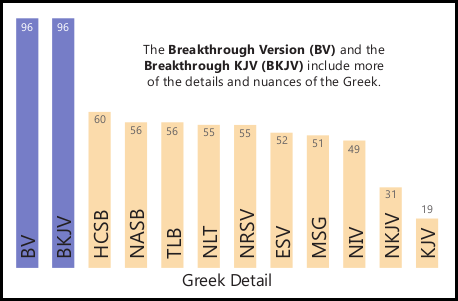 This section checks to see if each of the grammatical elements in the Greek text of randomly selected verses are expressed in English. 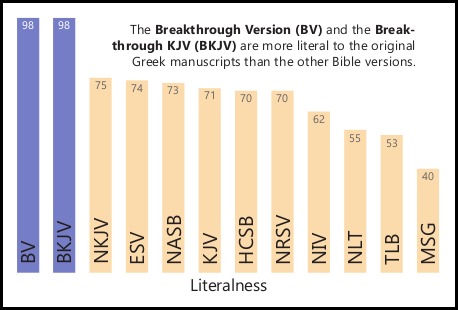 It also checks places where some Bible versions fail to translate what is in the Greek text. Bible versions should use words that are commonly used in everyday life. When the first English Bibles were written, the translators used the everyday words of that time. 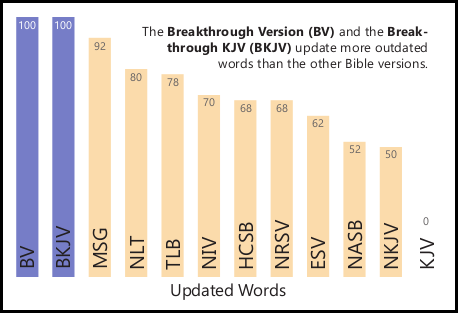 Even though some words have long since died and readers no longer know what they used to mean, some Bible versions still keep them on their pages. Words that are no longer used outside of the church are outdated. Some detail in the Greek text is not translated in some English versions. This section checks to see how well an English version translates details in the Greek text. 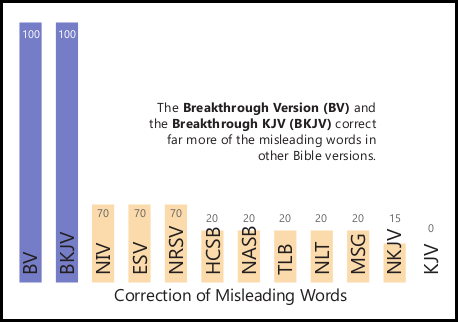 Some English words in the Bible are not outdated but they have changed in meaning since the first English Bibles were written. The versions that keep these words actually say something different than what the Greek says and what the words originally meant. This section checks for the existence of misleading words. Each Greek word should be translated consistently in English. A Greek word should not be translated one way in one passage and a different way in another passage. 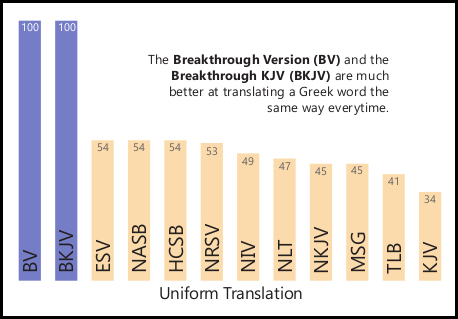 This section checks to see how consistent a version is in translating a Greek word the same way every time.